Arlington Public Library is unveiling an updated logo and tagline. The updated logo retains the familiar book graphic, as reading and information remain central to the Library’s mission. 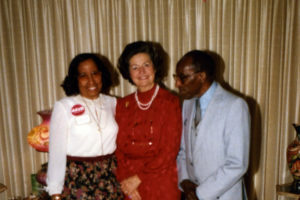 Arlington Public Library launches a new online exhibition of Arlington women and their achievements, which is culled from the Center for Local History's Community Archives containing many collections pertaining to women’s history and consequently the history of Arlington County. A civilian pastry chef for the United States Navy who found significant ways to put his organizing talents to good use for the Nauck community.